The full albums are all here for you to listen to and/or purchase. Sure, that means you can listen to them any time you'd like for free. But that also means it will be harder for me to make more recordings. The Story So Far is a multi-genred compilation that beautifully chronicles Liz Frencham's journey from sideman/bandmate in much loved festival acts (Jigzag, Frencham Smith & Jimmy the Fish) to singer/songwriter and feature concert performer in her own right. It is a great way to sample the different projects she has contributed to as well as a beautiful portrait of an artist in the making. Robbie throws a few last minute guitar tracks on The King of DIY and Light by Light. What a champion! Available to purchase directly as a physical CD or as a digital album on Bandcamp . You & Me Vol.1 is a an eclectic collection of live duets that capture beautiful moments of connection between two players in one room exploring each other through a spontaneous connection to a song. The narratives are wide ranging in genre and subject matter; from jazz to folk, from desolation to utter joy. 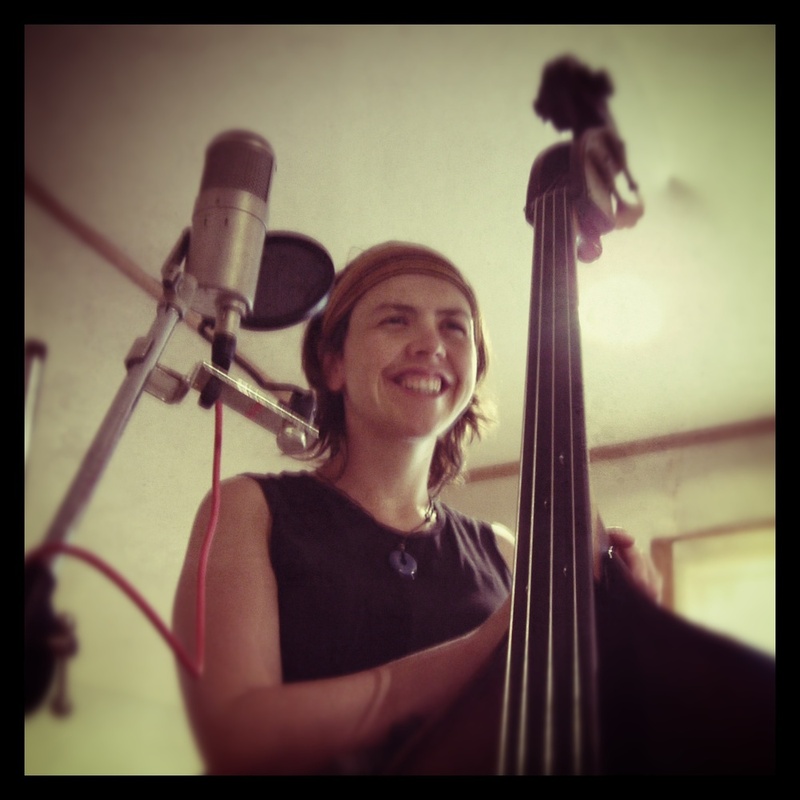 The common thread is Liz Frencham's warm, honest vocal delivery and even warmer double bass tone. Vincent Bradley authentically captures the Rubber Duckie for the album's 'hidden' track. One woman's initial exploration of solo double bass/voice. This is an unusual selection of covers specifically arranged for voice and bass. The covers range from the more well known, upbeat "Love Cats" by The Cure, to the more obscure soul ballad "Death By Chocolate" by fellow Aussie Sia. Every creak, and faltering breath is evident in the naked glory of a girl holding on to her double bass for dear life and singing her heart out. Recording in our living room before Dog & Bear Studio became a reality. Available as a digital EP only on Bandcamp. "Jericho" was Liz's first solo project, an album of personal, intimate songs recorded with the help of The Dream Seat, a large and varied collective of like musical minds and collaborators, or as Liz puts it... "the dream rhythm section, the most comfortable groove... a cohesion of different creative souls." Available as a digital album on Bandcamp.